Fits (8) inch reversible ratcheting wrenches, (8) metric reversible ratcheting wrenches, (2) inch combination wrenches, and (2) metric combination wrenches. Caution: Fits metric sizes 8 and 10 through 16. 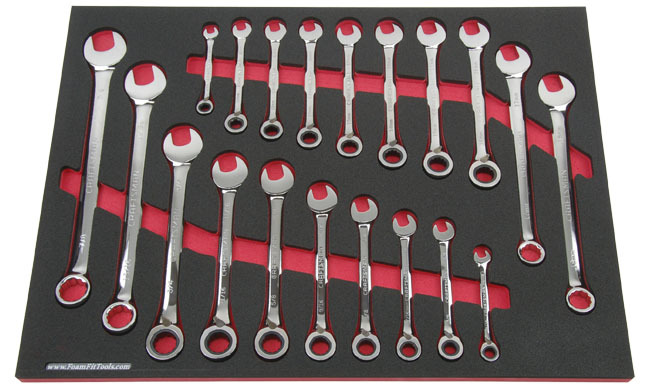 Many Craftsman ratcheting wrench sets skip the 11 and 16 mm sizes in this organizer. Only fits wrenches without USA markings. This organizer only fits full-polish, non-USA ratcheting wrenches with reversing levers, and full-polish combination wrenches without USA markings. Free shipping on all orders within the contiguous 48 US states. Please verify this organizer fits your tools before placing an order. Print the pages of the drawing full size (page scaling = none). Assemble the pages and place the printed drawing in your toolbox drawer. Place the tools over the printed outlines. Visually check that each tool fits within its outline. 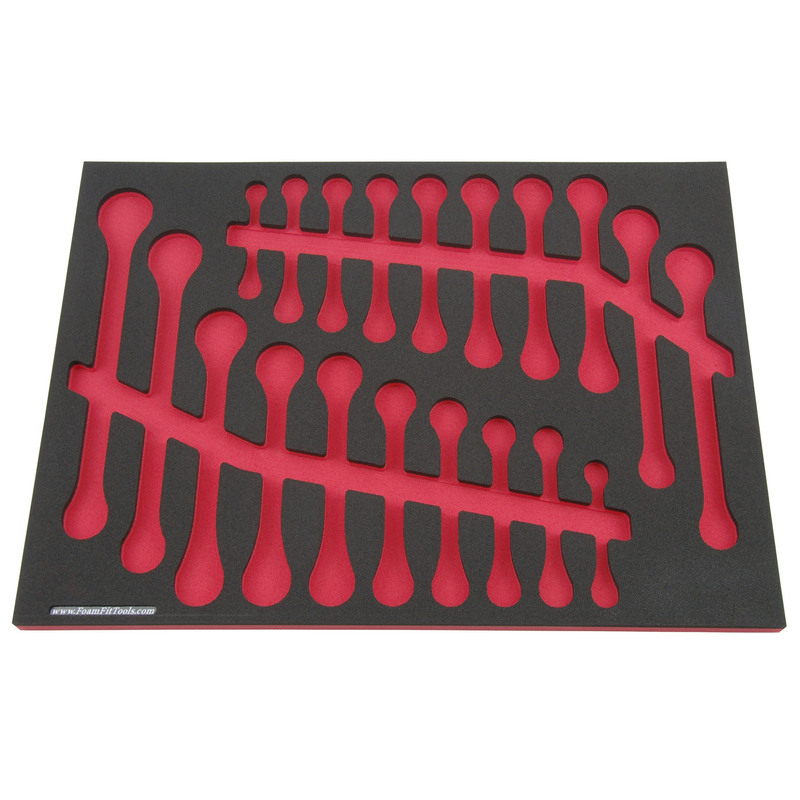 Each FoamFit insert is designed for shadowing a specific set of tools. These organizers are made from high-quality tool foam with precision-cut pockets. 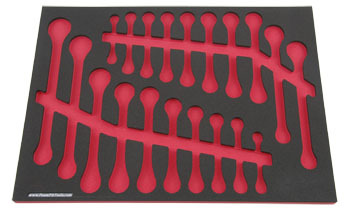 The pockets are cut up to 1/2 inch deep in 3/4 inch thick tool foam, or up to 1 inch deep in 1-1/4 inch thick tool foam. Most inserts require less than 2 inches of height to fit in a 2-inch drawer (unless otherwise noted). 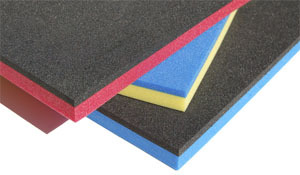 Our tool foam is two layers of closed-cell polyethylene foam. The contrasting top layer is thermally bonded to the bottom layer for maximum durability. Three color combinations are available: black with red, blue with yellow, and black with blue. The foam is resistant to most oils and fuels.